This slim volume of dark fiction was a real joy to read. Check out my full review over at TNB. Dark Sky is doing a lot of great things, and this was an ideal place to start. 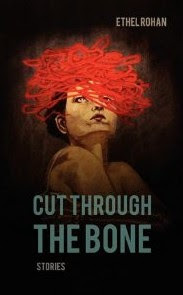 This entry was posted in Book Reviews, Other Voices and tagged book review, Cut Through the Bone, dark, Dark Sky Books, Ethel Rohan, richard thomas, short stories, surreal, the nervous breakdown.